Port Saint John welcomed its 1000th cruise call on Oct. 16, while last year marked the 25th anniversary of cruising to Saint John since 1989. The Ruby Princess’ second call at Port Saint John this year marked the 1000th call. 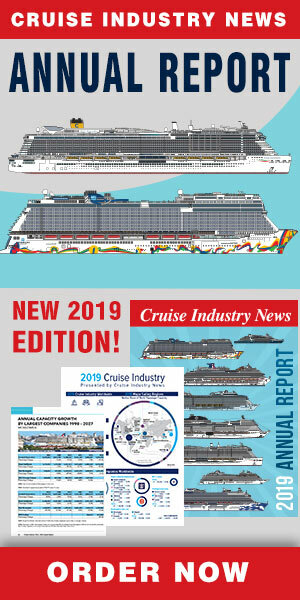 “We’re thrilled to be celebrating another cruise milestone at the Port,” said Betty MacMillan, manger of cruise development for Port Saint John. “In addition to our festive signature welcome provided to every cruise ship, we have a few special touches in place for Ruby Princess to commemorate this special occasion,” MacMillan continued by explaining that these items include 1000th anniversary stickers on each bouquet of roses noting the ship and date, a larger banner in the terminal and a presentation onboard to the Captain. 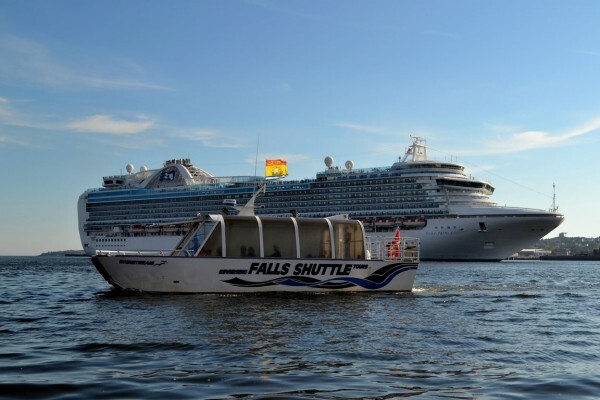 The Port will be presenting the Captain of the ship with a framed photograph of the Ruby Princess on her last call to Saint John (September 26). The photograph was taken by a local amateur photographer, Jordan McWillams, who has taken a strong interest in photographing ships in the harbour and sharing them on social media. The Port has invited McWilliams to be present for the presentation. The celebration comes near the end of a busy fall for cruise in Saint John. After Thursday there are still seven ships to call with the last visit of the season being the Seven Seas Navigator on October 27. With the 2014 season winding down, the Port will focus on cruise operations for 2015. Next season will start much earlier – on May 5 – and last even longer – November 3. Full details of the 2015 cruise season will be released at the end of 2014.